New Zealand Avaya are on top of the world holding a simultaneous AR World Number 1 ranking and the AR World Championship 2018 title. This champion team secured victory at the recent AR World Championship on Reunion Island and with that, another cycle with the world’s top ranking. Avaya have now held the number 1 ranking for a record 3 years. Haglöfs Silva are only 16 points behind the New Zealanders and set to challenge the reigning champions in 2019. They have moved into second position on the AR World Rankings (with a second place result at the AR World Championship – interestingly they came second to Avaya at the 2017 championship as well). Could a good result in the first cycle of next year see the Swedes dislodge Avaya from their throne? French teams had a very successful campaign on Reunion Island and this has been reflected in a record five French teams currently ranked in the top 20. 400Team Naturex is the highest ranked of these in 3rd position (506 points) which is a record ranking for this team. Lozére Team2Raid have made one of the highest jumps from outside the top 20 into 9th position (228). Also waving the French flag are Agde Raid Aventura (208 points), FMR (201 points) and DSN74 – Hoka (173 points). The Czech Republic are sure to be proud of their valiant team Black Hill Salomon Opava Net who placed 4th at this years AR World Championship and climbed into a ranking of 5th in the world. This is the first time a team from the Czech Republic has featured in the world top 10. It is also Black Hill Salomon Opava Net’s best result to date having competed in 4 previous AR World Championships. Congratulations to team Blizzard from Russia who have moved into the world top 20 for the first time. This young team’s first ARWS race was in May this year where they won Expedition Africa and an entry to the ARWC2018. Competing on Reunion Island against the worlds best they delivered a solid performance on a very tough course with a 14th placing. The first cycle of races next year will include Expedition India (india), Expedicion Guarani (Paraguay), Expedition Oregon (USA) and Raid Gallaecia (Spain). As teams confirm their 2019 racing calendar and enter events we will get a picture of which teams might be making moves on the world rankings in the next cycle. 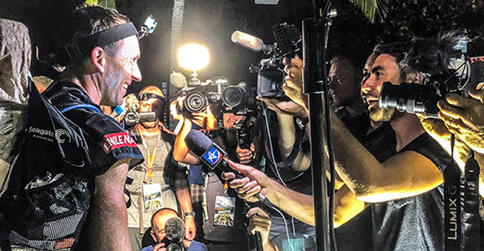 The AR World Rankings are a ranking order of the worlds adventure racing teams based on their 4 best results over the previous two years of AR World Series events. So as teams earn ranking points with each new cycle, conversely the the points they earned in the corresponding cycle 2 years ago drop off their total.